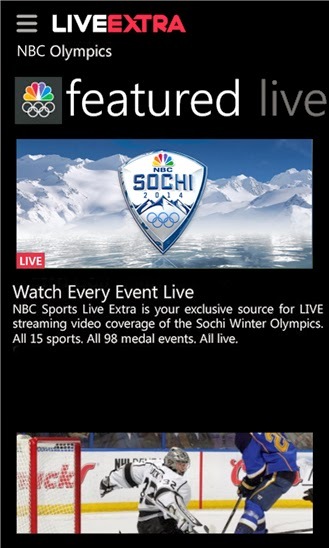 Just in time for the 2014 Winter Olympics in Sochi, Russia, Windows Phone users have been blessed with the new NBC Sports Live Extra app for Windows Phone 8. The mobile application offers more than 1,000 hours of live event coverage from NBC and its sister channels. You'll also get live Olympics coverage from Sochi, including all 15 sports and 98 medal events, NBC says. 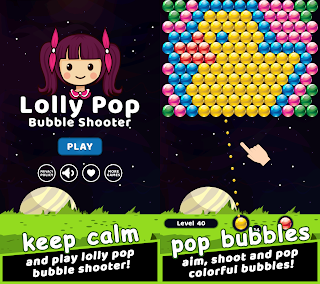 It is already available for free download from the Microsoft's Windows Phone Store. Microsoft has also been selected to be the cloud encoding and hosting platform provider for NBC Olympics, a division of the NBC Sports Group, during its production of the 2014 Olympic Winter Games in Sochi, Russia, Feb. 6–23. The vast majority of live streaming content on NBC Sports Live Extra will only be available to authenticated cable, satellite and telco customers via TV Everywhere. Further instructions are provided in the app settings section. NBC Olympics video is only accessible in the U.S. and certain U.S. territories. The application requires a 3G, 4G or WiFi data connection. Watching video over a 3G or 4G connection may affect your wireless data plan. Microsoft customers watching the Winter Olympics will benefit from a connected viewing experience across any Windows Phone 8 or Windows 8, Windows RT, Windows 8.1 or Windows RT 8.1 device. Following the release of Windows Phone version, NBC Sports Live Extra app is now also available in Windows Store for Windows 8/RT devices. Microsoft and NBC Olympics, a division of the NBC Sports Group also announced that Windows Azure Media Services is being used to publish and stream all 98 events of the 2014 Sochi Winter Games, through Feb. 23. Microsoft’s Windows Azure is powering the whole streaming thing. 0 comments on "NBC Sports Live Extra for Windows Phone available for free download, and Windows 8/RT devices"